are my new creation to help you start some great dialogues with whomever you take interest. They work great for family dinner time, Friday Night family time, dates, and outings (helps occupy time on trips). It's a great way to strike up a chat and get to know a person better. There is a set of 16 cards designed (thus far), and I will be posting 1 page of 4 cards a day. 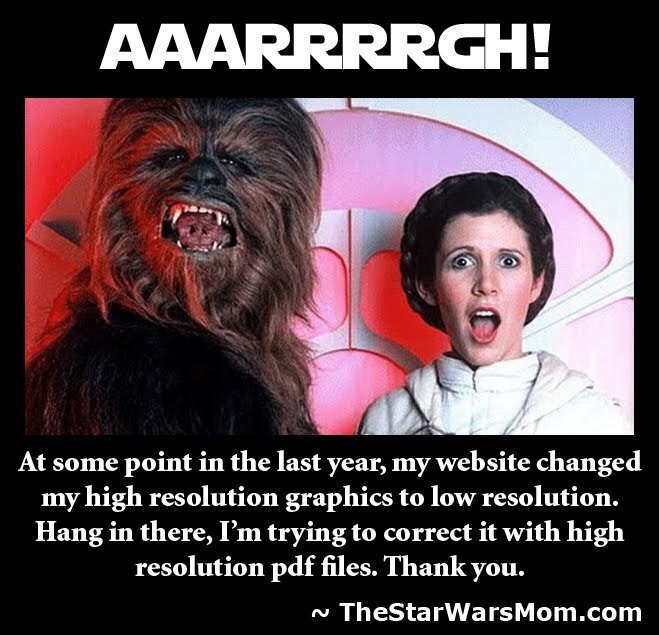 Just click on the photo and print or save as needed. 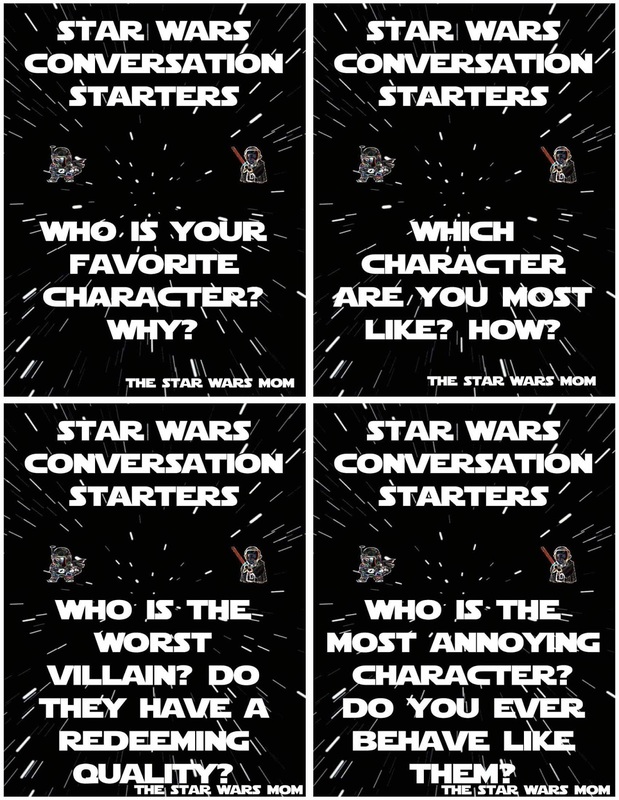 These are Star Wars Questions to get to know a fan's opinions. And while we are at it, I would love for you to answer these questions and let me know your own answers to each question on the posts on Facebook, Twitter, and Pinterest. 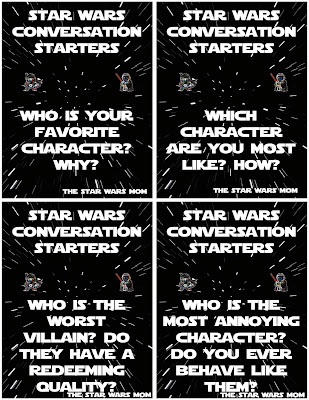 If you use Star Wars Conversation Starters with your family or friends, you should be able stimulate more conversation based off the answers to the first question on each card. 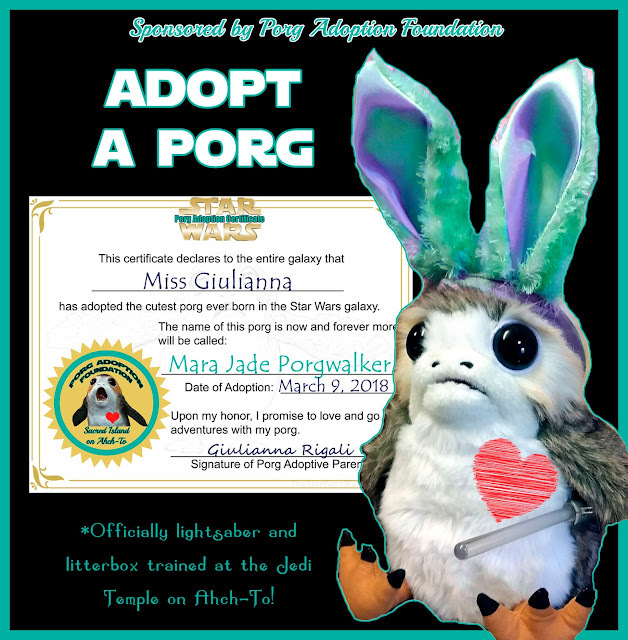 These inquiries are not only to enjoy Star Wars time together, but to grow in understanding of how each other perceives these films and real life. I find it amazing how much my kids actually differ on these answers. Be sure to let them know as long as they remain respectful, there are no wrong answers. This is simply learning more about their opinions. It can work great as a guide on how to shape your child's values if they bring up any concerns. Please feel free to send me an email if you have other ideas for free printables you would like to use with your family or questions that would make for excellent communication.